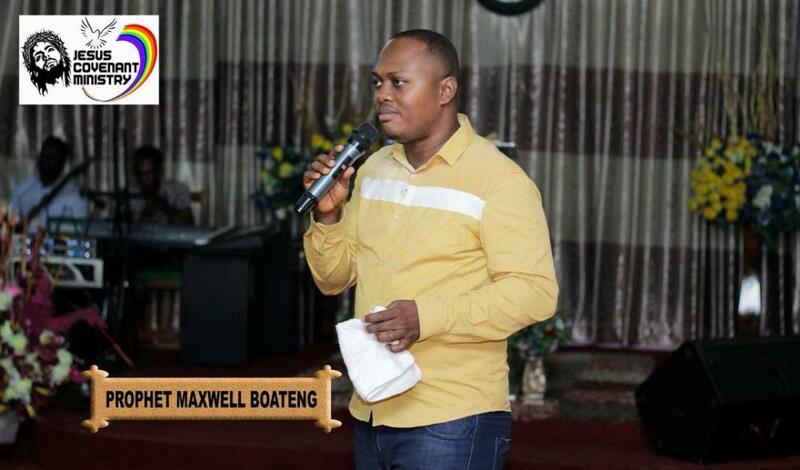 A new entrant in the gospel fraternity Prophet Maxwell Boateng who doubles as a man of God and a leader of Jesus Covenant Ministry has declared Obinim and Obofuor as fake men of God in his new single titled ‘ Adiyifo Atorofoɔ’ a song produced by Dannybeatz. In the song, he warned Christians to be careful and worship God in truth since nobody knows when Jesus Christ will come because there are a lot of pastors misleading people in the name of God. There’s a line in the song that says ‘’some prophets call themselves angels and ‘abofo’ yet they cannot fly’’ which obviously points to two great men of God we have in our country; the Leader of International God’s way Church, Bishop Daniel Obinim who has been captured exhibiting outrageous antics in his church and Founder of Anointed Palace Church Rev. Obofuor who has also been fingered by some men of God that he uses juju (black magic) and all what he does isn’t from God. He goes on to say the actions of these so called men of God which is selling different kinds of products in the church, making the house of God seen as a market place are clear indications that the end time is near so Christians should be vigilant. The lyrics are powerful. In a recent video released from Obinim’s church, a woman is seen carrying him at her back and dancing. The whole frolics was because, according to the woman, Obinim had been able to envisage perfectly what her problem was. Obinim was heard telling the woman that he could see she wanted money to trade in wax prints. Shocked by the precise forecast, the woman said “daddy woy3 too much oo, mese wo ni size” which literally means ‘daddy you are too much, you have no size’. She rushed towards Obinim and turned her back for him and he joyfully jumped on her back like a baby. The swift emergence of sham churches and church leaders cannot go unchecked. This trend has undermined and brought shame to the people of Ghana, the Christian community and God. It has hurt citizens genuinely seeking spiritual upliftment. Christianity is under attack in the same way with fake churches and pastors. This trend has left a trail of destruction in society where unsuspecting, gullible and impressionable members of society have been robbed of their hard-earned money, their dignity and basic human rights. A church leader who exhibits characteristics of unquenchable bodily lusts is a big concern. This could be taking advantage of congregants to satisfy one's sexual desires and the use of intoxicating substances. Congregants should not agree to private prayer or counselling sessions during odd times and in secluded places. If in the congregation the "Man of God" is the only one living a luxurious life, there is a reason to be doubtful.